I love my job because every day I deal with something new. As a Fisheries Officer, I'm involved in lots of different work that is aimed at protecting fish in my local area. 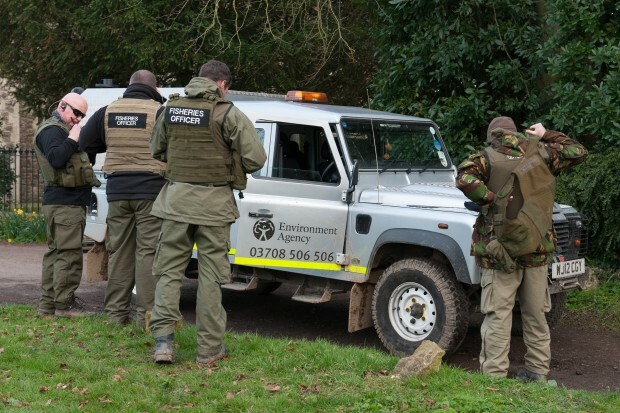 One of my main duties is to carry out fisheries enforcement work, which means I check all anglers are fishing legally and have bought the correct rod licence for fishing. Enforcement work is really important to ensure fish populations are protected. Our work includes: auditing and inspecting fish movements; patrolling rivers to check no one is fishing in the closed season; educating the public and fishery owners and looking for unlicensed and prohibited nets and lines. Nationally we received more than £21 million from rod licence sales last year. These funds are really important for the work we do to improve fishing for anglers across England. The money raised is reinvested to improve facilities for anglers, help manage predation and protect stocks from illegal fishing. We also carry out fish restocking, manage the impact of invasive species, create improved habitats and work with partners to encourage people to take up fishing for the first time. Over the last few years, we’ve been cracking down on people who do not buy rod licences. Last year we checked 70,000 rod licences and prosecuted more than 2,000 anglers who were fishing without one. Our teams cover huge areas and hundreds of fisheries so a lot of our work is intelligence-led. This means work is targeted in areas where there are reports of people fishing illegally. We also use high-tech equipment like night vision goggles and thermal imaging cameras to ensure we can survey a much wider area and target our enforcement. Recently I have been working in partnership with local police units in Cheshire to reach areas known to be 'hotspots' for fisheries offences. Our joint patrols have proved to be really effective at tackling a wide range of issues that prevent safe and accessible fishing opportunities for local communities. These issues usually include more serious criminal activity such as criminal damage, violent or threatening behaviour and anti-social behaviour. The police forces have been able to tackle these problems resulting in the seizure of off-road motorcycles, drugs, unauthorised air weapons and a machete. Patrols like this are an effective deterrent and also give us the opportunity to jointly gain valuable intelligence that can be used in the prevention and detection of more serious crimes. We often find that people who are willing to fish illegally are also willing to be involved in other, more serious criminal activity. Anyone who sees or suspects illegal fishing activity can report it to our 24 hour incident hotline on 0800 80 70 60. Ian Wood is a Fisheries Technical Officer working in the Greater Manchester, Merseyside and Cheshire area. To stay up to date with his team's work follow them on Twitter. why are trout waters like reservoirs not checked i have fished for trout for approx 26 years at places like RUTLAND, EYEBROOKE, DRAYCOTE, FOREMARK, THORNTON and have never had my licence checked and no one has told me of there ever been visits by fisheries officers or is it people who fly fish are more trusting ? I have fished at all of the fisheries you mention and have had my licence checked at both Rutland and Draycott. Not very often I see anyone but they are out there. I fish in the Northumberland Water area and get checked at least once every three times I go. Fontburn in particular seems to check every weekend. This is not a problem as like most people I have a license and play by the rules. When I see people using banned tactics, additional rods or taking too many fish I suspect these are the sort of people who do not pay for a license. Having been fishing for 40 years now ,I was fishing 2 weeks ago and for the first time in that 40 years I was asked for my rod and line license I was amazed ,luckily I had it on my phone. Agree with everything you say.I've fished for over 50 years and never been ask to show my license either.In the Fens where I now live and fish we have scores of Eastern Europeans fishing illegally and nothing is done about it..The Environment Agency are a waste of time. I have only been asked once also. Surely owners of fisheries themselves would like stricter control of their businesses so, why doesn't the agency have talks with them to see the viability of licence checks when purchasing your day ticket, whether it be at the bankside or the local tackle shop. I am sure that they would welcome a fair playing field for all. You should have to show your licence when purchasing your day ticket,it should be up to the fishery owners and bailiffs. What about making a law/ruling that, when angling club memberships are renewed/issued,the member must have a rod licence to be able to renew or join ? surely this would help stop a lot of unauthorized angling ? you should be asked to show or purchase a rod licence when you actually buy a fishing rod. I too have been fishing man and boy for almost 45 years and have had my licence inspected just once, on a small Trout water about 4 years ago. I welcome more checks by Fisheries Offices to clamp down on the huge amount of illegal fishing we hear goes on but I suspect the amount of fines paid do not cover the man hours wasted in catching the cheats and obtaining a conviction. For safety reasons I suspect Officers need to attend in pairs in some areas. 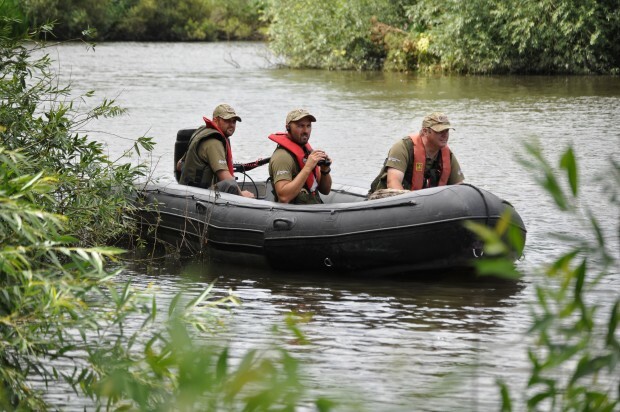 The catching of cheats and poachers isn't easy and even with the Law on their side, Fisheries Officers have a tough job. I live in Kent , and fish the stour, I have seen groups of people fishing during the closed season , and as you approach they hide . Ive seen plastic bags with fish in that's been caught . I would love to see more checks , as people seem to get away with it. I have been checked twice by E A bailiffs and it was nice to see that our fishing licence money is being well spent. I agree with Mr Wyatt above in that fishery owners should check firstly that someone has a licence and secondly it is for the correct number of rods allowable depending on local rules. No licence = no fishing. This could be expanded if a non licence holder was caught then the fishery would also be responsible. This might result in more resources being targeted at illegal fishing and or poaching at other venues. The course fishing licences run out 31 march each year & yet we are still allowed to fish on commercial lakes between then & june when the new season starts. My question is how can it not do damage to the spawning in April ,May & first 2 weeks in June & is it legal as far as the agency is concerned. Hi Jeff, The national close season is from 15 March to 15 June inclusive for coarse and eel fishing. It is in place to protect spawning coarse fish in rivers. This must be the only country in the world where you get fined for not having a fishing licence, but if you enter the country illegally you get a five star hotel room and benefits! Shame your heavies aren't on patrol in Calais, with all that gear! When I lived in Kent and fished at day ticket water the bailiff won't issue a ticket unless u have a rod licence. Maybe this should be the norm. If someone is fishing a club or day ticket without a rod licence fine both the individual and the club. I'm 68 years old now and have been fishing off and on now for the last 54 years. Always had a rod licence when I have fished in the UK but have never been asked for my licence. Even joined a local angling club and given a permit but still no one has ever checked me. This year I did not see even one person checking rod licences but fishermens without license or fishing out of season pleanty. In 30 years of angling I have never been asked to display either the rod licence or club permit. I have however witnessed many example of illegal activity in that time. Most recent example involved our Eastern European cousins calmly placing 6ounce roach into a carrier bag ' for evening food'. I called the hotline and explained the situation and advised that if the info was acted upon quickly then the culprits could be caught red handed. I was met at best with apathy and told not to approach them for risk of physical violence. I do wonder why I bother paying and what benefit it brings nowadays. Perhaps a national TV campaign in Polish explaining how coarse fish are returned. Its great to see that you are trying to catch the fisherman without a licence, but in 45 years of fishing I have never had mine checked. The River Thames is full of dodgy people who definitely have no licence. Why on earth does the EA just have one rod licence for everyone irrespective of age , say £20 for the season, allowing one rod for game, two rods for coarse, much easier to administer, less administrative costs, more likely that everyone will buy one and put up the fines if you do not have a licence. Why not include a days license at a fishery, this will solve the problem. I only sea fish as I refuse to pay for overfished lakes, fresh water rivers and ponds and do not require a rod license; also can eat what I catch as long as it is over the size limit. GAPS in Ipswich do not care about Gipping River as well as Council or Enviromental Agency. In Gipping river is less and less fish but we pay for the license. I agree Slawomir since the late 80s early 90s the River Gipping (lower stretch) has been left to ruin neglected by the local council and GAPS over the years leaving Greenaway's Countryside project volunteers with the mammoth task of keeping the river accessible. But I must admit most anglers English or not that I've asked to see a licence produced one! The thing I did find was the lack of information some of these anglers had concerning catch and release \ if the stretch was free to fish or controlled as there was no clear signage. Also worryingly the lack of fish care tools carried by these anglers 99% pike/lure fishing and no nets \unhooking mats even decent forceps. I would dearly love to see a full report on the health of the river \ fish stocks etc but that's another post. If you have received £21 million how much goes on actually conservation and helping our hobby and how much does the Government take ? I haven't renewed my licence this year as due to illness have not been able to get out this year which is frustrating. In 45 years of fishing ive been askd for my rod licence only a handfull of times, and that was in the early years. I would like to become a voluntary officer if this is posible, and I think a lot more anglers would as well.This would put more anglers on the bank looking after our fisheries. Commendable work Ian but there is just not enough of you. My local river in Sussex was blatantly being fished throughout the close season, and continues to be fished now by people without licences, where every fish goes in a bucket. I've only had my ticket checked once in 25 years... Without more resources you are only scratching at surface of what's needed. I cant tax my car without a valid mot so why should I be able to buy a day ticket without a rod licence? . Day ticket waters wash their hands of the problem as long as they are getting their day ticket money....do they not realise that if someone evades buying a licence they will be less scrupulous in caring for the fish...After all it is something they are not willing to contribute to!! If you meed to purchase a day ticket nefore fishing or on the bank and have done so thwn the fisher owner should be fined as well if you do mot have a rod licence. Problem sorted overnight.!!!! I have been fishing for many years and have never been asked got my licence, now I am in my 70 years and I have seen people stealing fish and when challenged were very rude they were all from eastern country's. As I live in Somerset the fishing rivers and canals are left to grow over that frustrates me to hell because we pay our licence money and find we can not fish them. as a non native species here I've been fishing mainly river Thames in SE and club waters around London need to say AMAZED by volume of checks, well done, need to say as a Polish(awere of our reputation) will be nice if a EA invest some in a education = prevention at last make website userd friendly. Seems to me the agency follow the money, with all the accessorys carp fisherman take they can't run away, been on loads of carp waters which have been targeted, why is that????? I am 74 and when aged 7 my Uncle warned me that I must have a licence otherwise the "Water Bailiff" would catch me! In the 67 following years I have been asked once. I'm in my 50's now and at age 9 I fished Roundhay Park in Leeds every weekend. If you didn't get there early you couldn't find a place. It's rubbish now.... I started fishing again a few years ago after a 13 year gap but I've packed it in again. Too many idiots with no licence slapping high-tech baits at my feet from across the lake. No landing net and stuffing big fish into keep nets. Gobby wing-nuts who never get asked to produce a licence and have no fishing sense. No skills and no thought for others at the fisheries. The old saying "you get what you pay for" comes to mind but the reverse is true I think, - If it's free you attract free loaders and idiots.. I've travelled to several fisheries and can't say it's different at any of the places I've been to.. I've been asked to produce a rod and line licence only once in my life and that was at Roundhay Park in 1970's. The lake I was fishing at recently would rather take the £6 permit fee than turn away customers who don't have a licence. I was organising my main fishing trips around my Son's Army leave. He didn't want to buy an annual licence because he was away for 6 months sometimes. It would be better if the licence was for a year after purchase. Clearly,from the reports I have read above,there are serious infringements going on,and not enough is being done about it.The E.A. must step up their actions,big style,otherwise they might as well pack up and NOT BOTHER.Get a serious grip E.A.! I got banned from holding a fishing license the first time in 1982 when I was 15 years of age for snatching salmon and sea trout on the river wear at Durham,then banned again in 1987 never got my license back until 2006,poaching was a way of life back then for me and many others from all walks of life IE: doctors,police officers x2,fire chief of local county fire brigade,dog catcher,armed robbers x 4,drug dealers,x12,miners x3,hells angel leader,builders,unemployed people of course thast why they were poachng in the first place,its nearly all come to a end now at durham a notorious place for salmon and sea trout poaching,its not come to a end through vigourous patrols of the E/A but more through financial settlemeat for a lot of people,the very odd few who still venture out are warm weather fishermen meaning they only come out when the river is in flood for the salmon,now when people say that the E/A aint doing their job well I beg to differ,when yer get salmon and sea trout in numbers on a river that's when 3 things happen No 1 poaching starts No 2 the rent goes up for angling clubs free stretches disappear,No 3 ballifs or fisheries inspectors for the E/A patrol and do more checks,someone said they get checked all the time in Northumberland well the E/A has several offices around that area so their presecense is always there,but when yer got two main rivers in England one the Tyne the second The Wear which both flow near each other to the sea,Tyne being number one salmon river in England and wales and the river possibly the 2nd best yer gunna get checked so make sure yer got a license,the Yorkshire area is next to be up and coming for salmon fishing ! watch this space ! I fish the Thames around Marlow, Bourne End, Maidenhead stretches and I see no end of people fishing without a rod licence, they don't even have the required club membership to fish on the private stretches that belong to angling clubs. I know this because I speak to these people from time to time. A lot of these anglers are from abroad, easy to spot because they always use lure rods, 9 times out of 10 anyway. In 50 years of fishing on and off on the river Thames, I never once saw an EA bailiff. So I can see why people don't bother with EA licences. If the EA done their jobs properly, this would or could not happen.